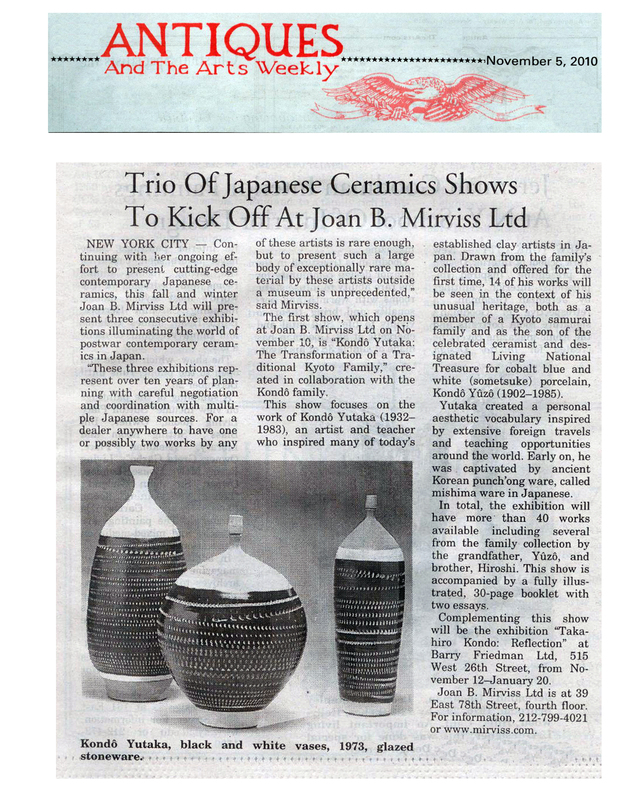 Continuing with her ongoing effort to present cutting-edge contemporary Japanese ceramics, this fall and winter Joan B. Mirviss Ltd will present three consecutive exhibitions illuminating the world of postwar contemporary ceramics in Japan. "These three exhibitions represent over ten years of planning with careful negotiations and coordination with multiple Japanese sources. For a dealer anywhere to have one or possibly two works by any of these artists is rare enough, but to present such a large body of exceptionally rare material by these artists outside a museum is unprecedented," said Mirviss.